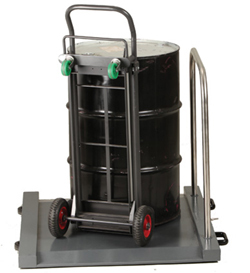 Portable Drum Weigher Scale featuring a powder coated rugged steel platform with a smooth top surface and built in ramps. Includes an SBI 100 indicator with 6 digit, red LED, easy to ready display. Easy Assembly No installation costs or parts that require maintenance. Just place the scale on a hard surface and level by adjusting the foot pads. Connect the power and youre ready to go. Capable of withstanding 150% capacity of weight without damaging the scale.